Washington state’s first recreational marijuana stores opened last July, the culmination of a broad-based and long effort to legalize the drug. In 1998 voters passed a ballot initiative offering pot smokers legal protection against prosecution if they had a doctor’s note saying they needed the drug for medical reasons. A legal loophole let marijuana dispensaries sell pot to people with the notes. Washington’s lightly regulated system—it’s the only state that didn’t set up a patient registry or issue ID cards—allowed a medical marijuana market to flourish. In 2012, Washington passed a ballot measure legalizing the sale of marijuana for recreational use. Finally adults could get high without a medical excuse. The initiative established a tax and licensing regime for pot growers, processors, and retailers overseen by the Washington State Liquor Control Board, which mandates extensive product testing and package labeling for marijuana products. That’s made recreational pot about 50 percent more expensive than medical marijuana. “Those are all extra costs that are incurred under the law that medicinal pot doesn’t have,” says Lynsee Swisher, director of Nine Point Growth Industries, a licensed grower of strains such as Opal OG Kush. Now the new retailers are hiring lobbyists to push state legislators in Olympia to regulate medical cannabis. They want medical marijuana to meet the same safety standards as recreational pot and say customers who aren’t true patients should have to buy the high-tax retail product. Some dispensaries are bringing in their own lobbyists to make sure they don’t get squeezed out. Amber Lewis was hired in November by an alliance of medical and recreational businesses that want to figure a way that’s fair to both sides. “I’ve learned that in the cannabis industry, things are very loose, until they’re not,” says Lewis. While the state doesn’t have an exact count of medical dispensaries, they far outnumber the 334 recreational marijuana stores licensed to open. 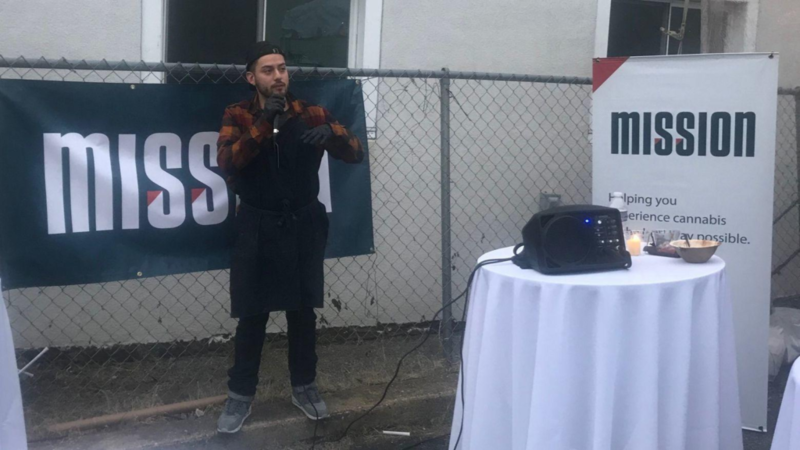 In Seattle alone, about 300 dispensaries operate, but only 21 retail licenses were issued, says Rick Garza, director of the Washington State Liquor Control Board. The licenses for the new retail stores were doled out by lottery last May. It cost just $250 to enter, and more than 1,000 people applied for licenses. That included newcomers to the pot business who hadn’t participated in the political battle to legalize marijuana and had no common bond with medical marijuana sellers.